Harmony Day is a day to celebrate Australian multiculturalism, based on the successful integration of migrants into our community. 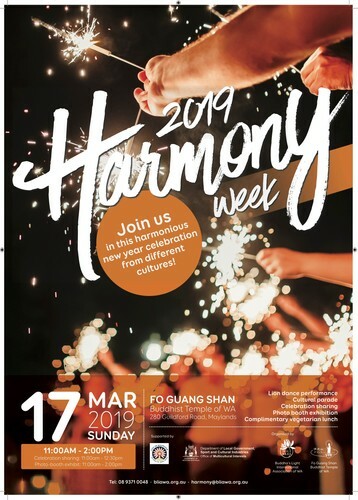 We will be showcasing the flourishing multiculturalism of Australia by presenting “Harmonious New Year Celebrations” as the theme for our 2019 Harmony Week celebration! Our theme is to explore New Year celebrations and traditions among different cultures from around the world. We envision this event to serve as a platform to create a community that is inclusive and respectful of all Australians, regardless of their culture.